Celebrate a little Erin go Bragh (Ireland till the end of time) this weekend in Dublin—Dublin, Ohio, that is. Full of Irish pubs and Irish traditions, Dublin’s tagline says it all: Irish is an attitude! A great place to hang your hat while exploring Dublin is Cross Creek Camping Resort, located a few miles north of the city center. The pet-friendly resort features 200 sites and plenty of amenities like pull-throughs, full hookups, and Wi-Fi access. Other services include 30/50 amp electrical, water, sewer, restrooms, showers, laundry facilities, a camp store, playground, swimming pool, a rec room, and nearby recreational trails. The Golf Club of Dublin will make you think you’re teeing it up on the Emerald Isle. 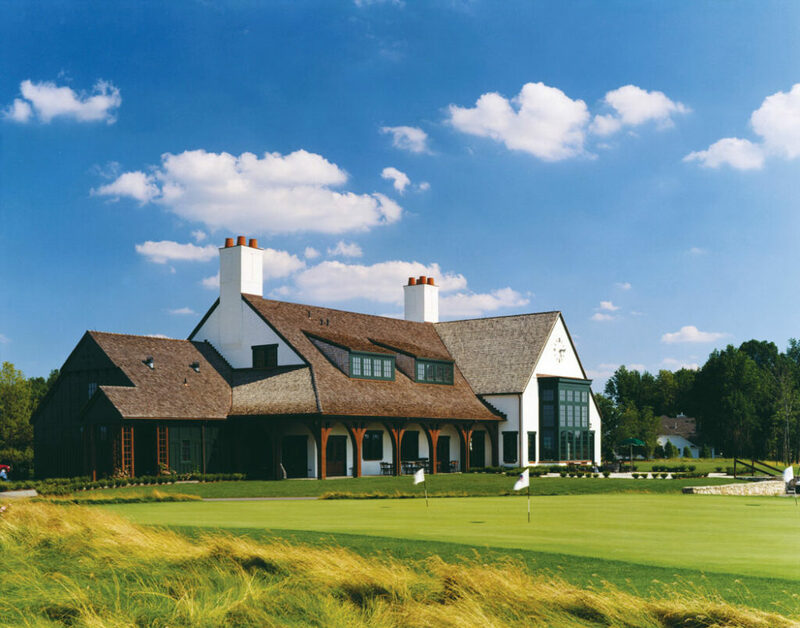 One of the Midwest’s true links golf experiences, the Golf Club of Dublin includes a Tudor-style clubhouse that sets the tone for this Irish-themed gem. The 18-hole, par 72 course measures 7,021 yards from the tips. Each hole on the scorecard keeps with the Irish theme and includes names like Leprechaun, Blarney, and Pot of Gold. After a round, grab a pint of your favorite refreshment in Mulligan’s Pub, which is open year-round. Though you don’t need a passport to visit Dublin, Ohio, the Irish experience is still plentiful. Since 1988, the year after Dublin became a city, the Dublin Irish Festival was christened. It has since grown into what is now the largest three-day Irish festival on the planet. More than 100,000 guests are expected to attend this year’s event during the first weekend of August. Two things are certain when you come to Dublin, Ohio: You don’t have to be Irish to enjoy the city, and you don’t have to wait until St. Patrick’s Day to visit! For more information about Dublin, Ohio, check out www.visitdublinohio.com. I lived and worked in the Dublin OH area much of my life. Dublin is a great place to visit. Columbus is a great town. The Dublin Irish Festival is YUGE!. Golf Club of Dublin is a nice course. In fact, there are a lot of public golf course options in Central Ohio. If you are a club members somewhere, there are some world class private courses in the area that maybe your club pro can get you in to. Try Muirfleld, Tartan Field, Scioto CC for starters. Cross Creek is a very nice RV park but it’s not convenient to much of anything. Located North of Columbus adjacent to Alum Creek Reservior, it’s a nice place to stay and enjoy water sports and boating. 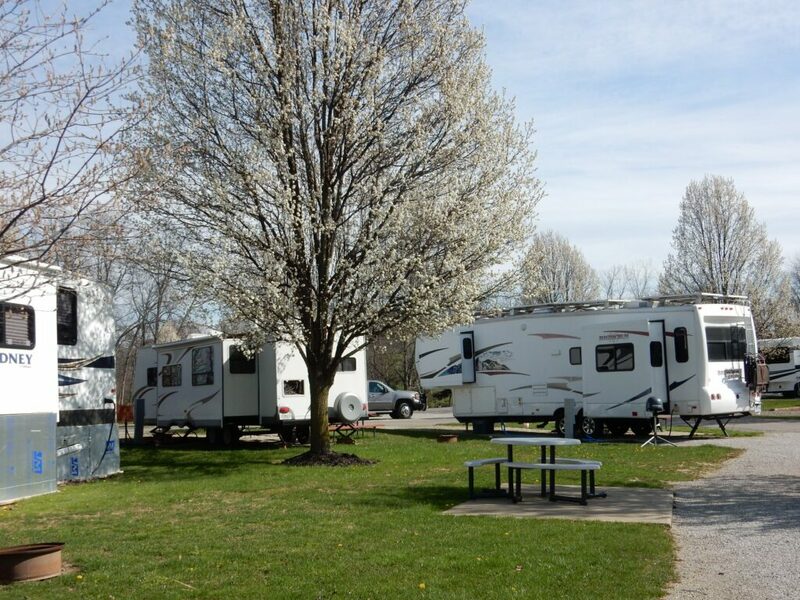 Just be aware that this RV resort is a bit of a poke up SR23, the busiest N/S highway in the area other than I71. It’s not a few miles as the article states so map it yourself. You just need to pick carefully when you come and go. They just rebuilt SR23 & I270 which improved traffic flow but it, and the North Outerbelt over to Dublin remain one of the most congested areas in the City. Other than Cross Creek, there are ZERO RV park options. They are literally the only game anywhere close to town. Unfortunately, Columbus and it’s surrounding communities are just not RV/motor home friendly. There is talk of a luxury RV Resort to be built behind the casino on the West side of town but I bet that is years away. Once built, we will be one of the first to book a reservation.